The 2019 Conference Program Committee is pleased to announce a wide-variety of educational sessions for this year’s conference in Miami. 2019 marks fifty years since “one giant leap” took us to the moon. The race to space was a study in global competition, ingenuity, innovation, embracing risk and imagining the impossible. It was a pioneering time with long-lasting impact—more than 63,000 technologies that we still routinely use were discovered and created as the result of these programs. Today, we face an unprecedented time of risk and opportunity. Globalization, sustainability demands, technological revolution, demographic changes, inequality, new perspectives, identity redefinition, natural disasters, pandemics, regulation, financial volatility, and medical advances are impacting families, businesses and the global economy. 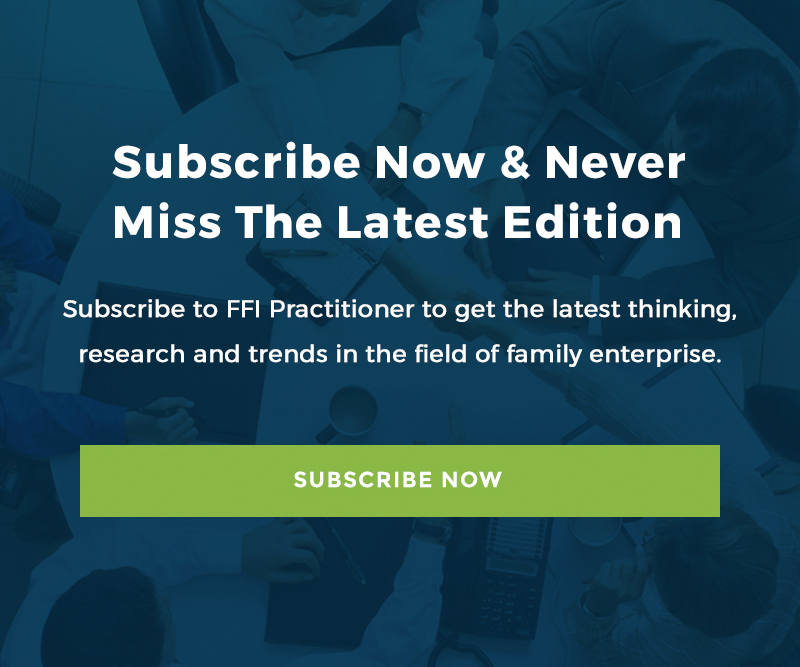 Not only do family enterprises themselves face challenges in this new frontier, so too do the professional advisors and consultants, researchers and academics who work with, in and/or conduct research in this field. This will be a conference you do not want to miss! Click here to see the 2019 FFI Conference Program. We are pleased to announce the FFI 2018 Award Recipients!